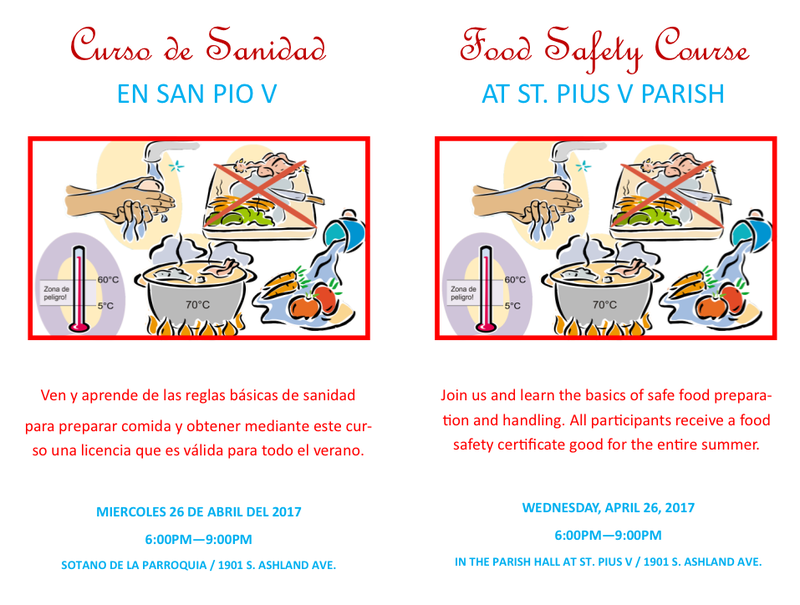 Volunteers for the parish street festival – La Kermes – are asked to take a food handling safety class on Wednesday, April 26 at 6:00 pm in the parish hall, 1901 S. Ashland Avenue. Participants in the class, which is taught in Spanish, will learn the basic regulations for safe and sanitary outdoor food handling. The certificate is valid for the entire summer festival season and required for all people who do food preparation or handling atoutdoor festivals. The Kermes takes place Friday, June 2 through Sunday, June 4, 2017.